We provide a selection of courses tailored for different learning objectives and ages. Whether you want to learn Chinese for business or personal use, in-person or online, there is always a suitable class for you. Some of our most popular classes can be found below. Each of our courses can be tailored to meet your specific needs. For example we have developed a business Chinese curriculums for professionals who need to understand the Chinese language for use in meetings, negotiations and other business environments. 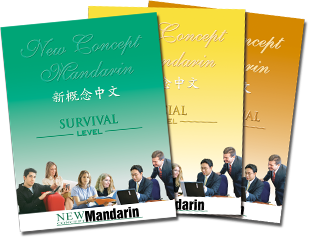 We have assisted many large companies and organizations in developing personalized in-house training to assist their staff to confidently talk about their company’s products and services in Chinese in their day-to-day business operations. So whether you are a beginner or an existing student, whether you are learning Chinese for business or just for personal use, our teachers can tailor their lesson plans to suit your experience level and desired outcomes. Participation in each of these courses gives you access to an experienced teacher and helpful Chinese Learning Resources. You may also wish to use our Chinese Video Lessons, Chinese Learning Apps and other Online Chinese Learning Tools to help you during the course. Every courses can be delivered in-person or online. Learn about our increasingly popular Online Chinese Courses or instead choose to be guided by our teacher via In-person Learning. If you would like to find out more information on our classes and what is included, please get in touch with our team today. Enquiries can be made online or you can speak to us directly using the contact information provided.